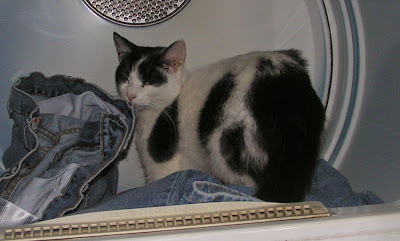 relaxing in a warm load of laundry. The times I've tried to knit he climbs on my lap and plops down on my project. It's nice to be wanted! I have set up a Go fund Me page here. If you know anyone who would be interested in helping, please pass it along. That's all for now. I'll be back soon! Hey lady, what's your name on Ravelry? I've got a hat pattern coming your way that you won!